A private home built in 2000 requiring design work to bring life, organization and enhance the functionally of the existing room conditions. 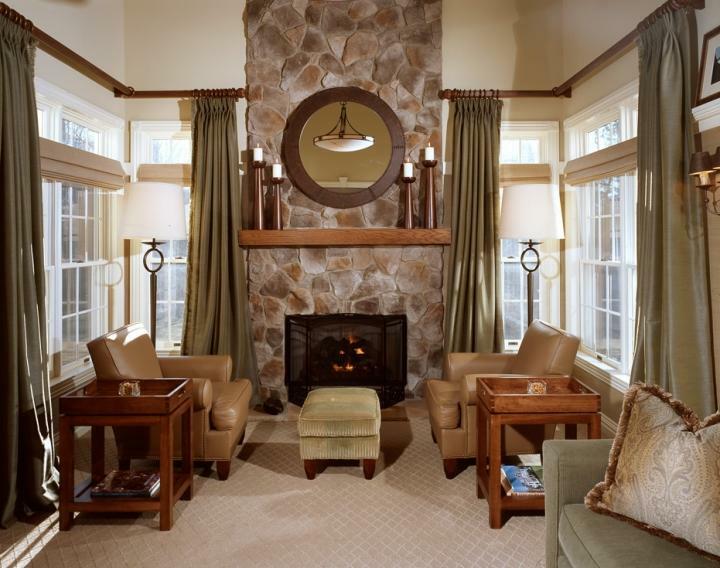 The clients requested complete design work for the master bedroom, living room, family room and powder room. The clients, two doctors with busy professional lives and two small children, were seeking to create a contemporary sanctuary with Asian influences. They sought to create a special, intimate environment in each room with a wide range of character from the Zen-like master bedroom, to the masculine family room to the elegant living room. The design program commenced with an evaluation of the client objectives and preferences including space usages, furniture, color, lighting, materials and artwork. This permitted the development of design concepts that considered both aesthetic and functional issues. A second plank of the program was to evaluate the adequacy of the existing space to see if we could achieve the client's goals without making major changes. It did turn out a small amount of construction was necessary. Against the backdrop of stated client preferences and objectives, the primary deficiencies of the several spaces were identified and corrections were addressed in space plans. In the family room, these including a long narrow room with impossibly high ceiling height and too many openings to the room. We corrected the situation by closing off an opening yet still having a pass-through. Designing and installing a shelf around the perimeter of the room, using wall covering below and paint above to bring the ceiling height down. We also designed and hung a large mirror above the fireplace and added a chandelier to the room. All tricks to visually lower the ceiling without construction. The husband requested this room have a masculine feel. 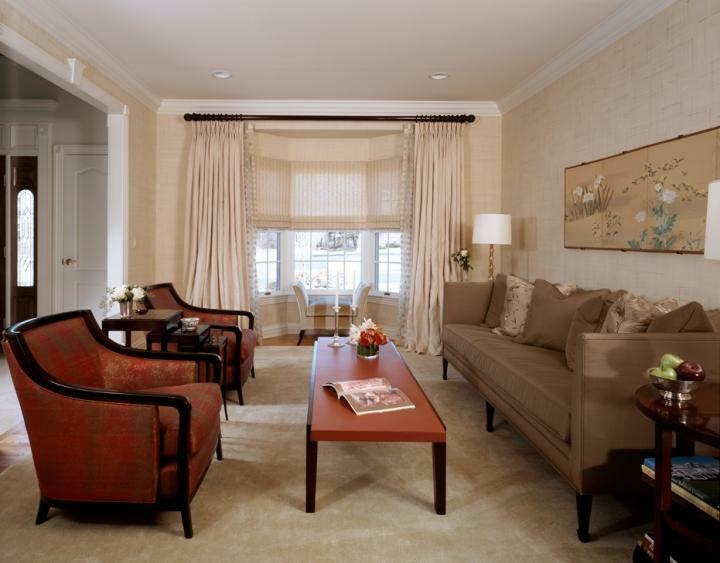 Asian influences were brought in through iron floor lamps, chandelier and coffee table and grass cloth wall covering. In the living room, both texture and color were woven into the design solution. An Asian-inspired red leather coffee table adds drama to the environment. The walls are hand painted to simulate linen while linen draperies and carpeting complement the wall finish. The living room sofa was chosen for clean, strong lines to showcase the antique Japanese screen. Two matching lounge chairs bring in sculptured relief as well as a dash of vibrant color.